It’s no coincidence that most movies end with the wedding. That’s when reality kicks in. 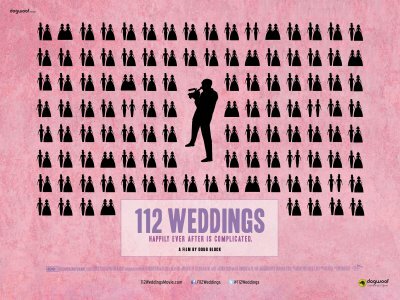 The documentary 112 Weddings (HBO OnDemand) gives audiences the opportunity to see how that reality measures up. Most are still married. One couple is in the process of divorcing and agreed to be interviewed separately. But all agree that marriage is far different from any idea they may have had at the start. Many have faced real challenges. Seriously ill children. Depression. But all answer the simple question: would we do it all again, knowing what we know now. The film manages to be both sobering and joyful at the same time…which is how couples should probably approach such an important life choice. If you stop and think about it. 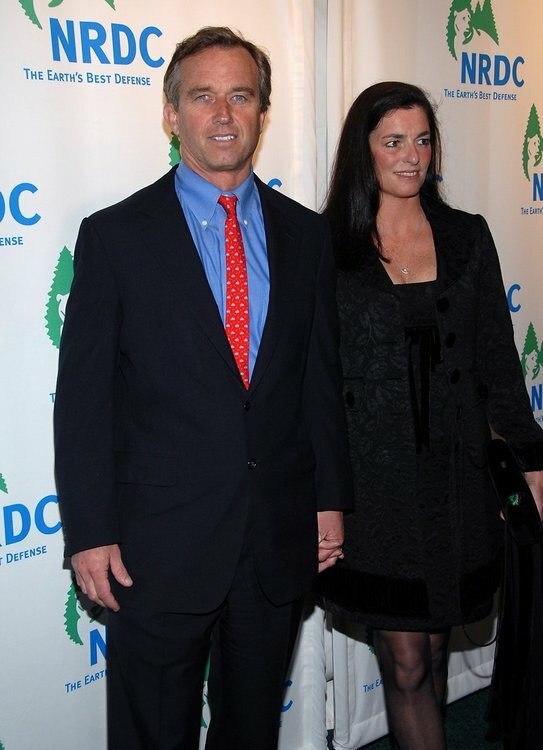 I read today that Bobby Kennedy Jr. filed for a divorce from his wife Mary. That’s too bad. They seemed like such a nice couple…when I met them. Yeah, you read it right. I met Bobby and Mary Kennedy. They sat next to me on a flight from Denver to Aspen. We were all en route to the 2nd Annual US Comedy Arts Festival. I was on a research trip for Hallmark Cards; Bobby was going to introduce Garry Trudeau, his good friend and creator of the “Doonesbury” comic strip, who was being honored at the festival. The small jet had no first class; that’s why they were seated next to me. I recognized them immediately when they boarded just moments before take-off — my mother loved the Kennedys like most Catholics of her generation — but I kept my mouth shut. It was a great story to share with my co-workers, who were seated elsewhere on the plane. I attended the Doonesbury retrospective and only made the ‘Kennedy connection’ when Bobby stepped up to the podium to introduce ‘his friend Garry.’ After the event was over, attendees were invited to a gallery next door exhibiting framed “Doonesbury” cartoons. There across the room were Mary and Bobby Kennedy, smiling and waving. Garry Trudeau stood at their side. The rest of the evening was kind of a rock star moment for me. I got to hang with the Kennedys for a little while. I met Garry Trudeau, whose comic strips explained the entire Watergate phenomenon to me as a child…and I was able to get his autograph for my brother Kent. And best of all? The look on my co-workers’ faces.